Christian Dior’s garden parties were the stuff of legends. The couturier hosted lavish gatherings in the rose gardens he planted in his family home, which he dubbed ‘The Grand Balls of the Century’. The house, in Granville, France, is now a museum, where you can browse three floors of haute couture as well as the gorgeous gardens that Dior cited as a major influence throughout his life and career. 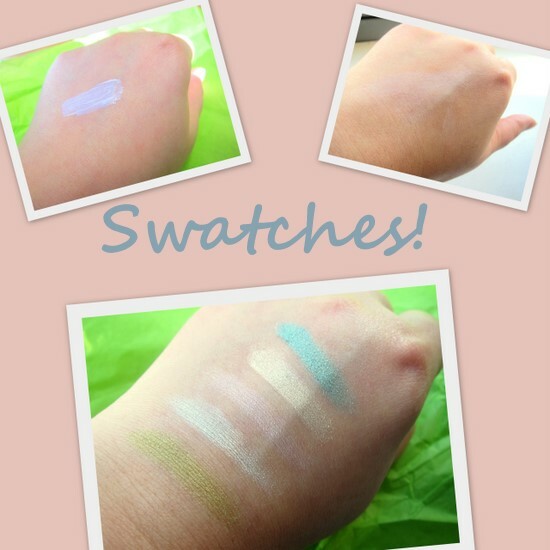 But you don’t need to wait till your summer holliers to get a little taste of that glamour -- Dior’s Garden Party collection was released nationwide last week, inspired by the pastel greens, pinks and lilacs of 'the garden of fragrances' at Villa des Rhumbs. 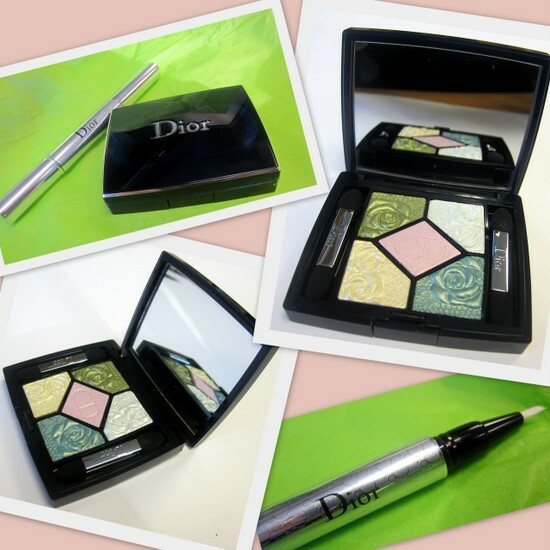 The collection is exquisite – t’would do Mr. Dior proud. Featuring delicate, embossed powders for cheeks and eyes and glossy shades of lilac and pink for lips, the Garden Collection is a bumper crop of utter loveliness. Two gorgeous shades of Le Vernis nail polish round off the collection, in a shimmery green and a creamy mauve. There’s a stunning collector’s item in the form of a hand-finished, ornamental clutch -- take a closer look over on beaut.ie -- as well as a limited edition version of the brand’s iconic 5 Couleurs palette, in four floral inspired colour ways. I was thrilled to be sent one in #441, Garden Pastels, which is described as “pink, buttercup yellow and luminous greens”. With its embossed roses it’s a thing of beauty, and affirms every good thing I’ve ever heard about these quints; the shadows are smooth and velvety, with great colour payoff. I wouldn’t wear the colours all together, but have been experimenting with one or two shades worn just on the lid – there’s too much shimmer for under the brow, I think. Luckily any actual glitter is confined to the pink and blue/green shade, making the palette more fresh and wearable. I was also sent a new limited edition shade of Skinflash primer in Universal Light; at first I took this to be an illuminating concealer, but the pearlescent white shade revealed it would serve better as a highlighter. It gives a gorgeous gleam to the highest points of the face. What do you think, will you be joining the party? The Dior Garden Party collection is on counter now; prices range from €23 for the nail polish, €35 for the Skinflash, €55 for the 5 Couleurs palettes and €74 for the beautiful clutch. The greens are gorgeous- they always come so prettily packaged too. I LOVE that eyeshadow palette! And your post :) I'd love it just to look at. Haha. The sparkly green is gorgeous. The colours are so pretty and fresh. I agree that wearing them all together might be a bit much, but wearing one or two at a time sounds lovely. What a pretty palate. Makes me want to toss all my old makeup and start over! This looks gorgeous, I love it so much! My favourite is the mint green shade. These look pretty but pastels don’t tend to suit my skintone. The palette looks gorgeous though and I’ve seen swatches of the two nail polishes which are definitely calling my name! hello. I am a new follower from the blog hop. Can you please follow me back? Ohhh, I always get suckered in by pretty presentations. 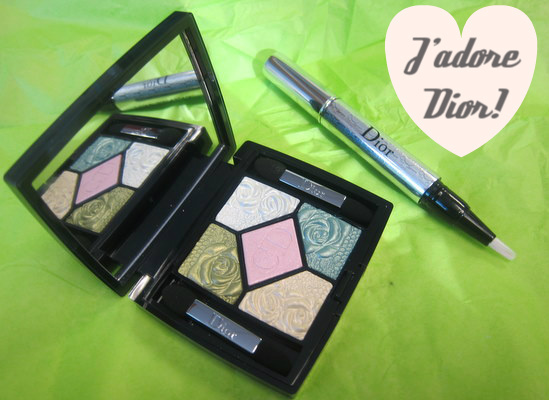 I am a big Dior makeup fan. I love the spring tones. The palette is so beautiful - I adore those pretty colors. This year, I will be wearing more make up. Lovely post. Oh, certainly, the collection is very spring-like. I loved the name ’Garden Collection’ as it showcases all shades and hues of what a garden might comprise of. Bright flowers but with a natural gleam which is not shocking to the eyes, yet very user friendly. Dior is well known for his uniqueness and simplicity in fashion accessories and make up elements. This collection is no exception. It totally lives up to the expectations of millions of its die-hard fans.